There are a lot of great Tekken 7 players, but the masters of the game still hail mostly from South Korea. 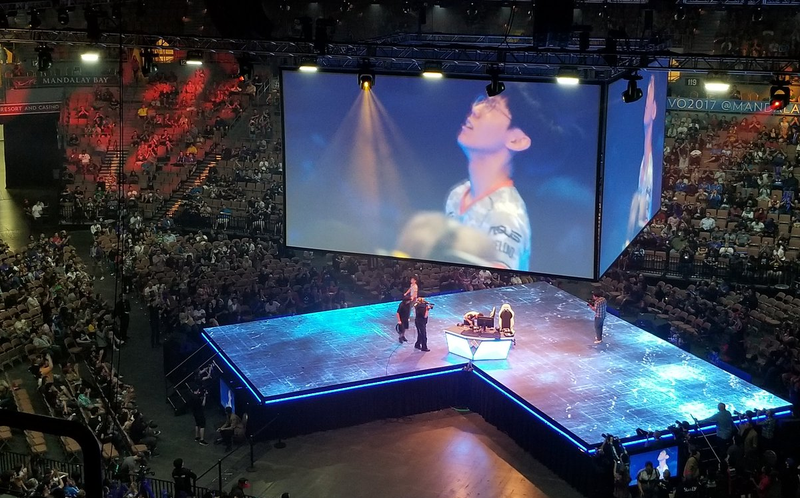 In a grand finals that pitted countrymen and fellow Echo Fox players Jin Woo “Saint” Choi and Hyun Jin “JDCR” Kim against one another, it was the latter who managed their first Evo championship win. Compared to some other fighting games, Tekken is dense and punishing. Fights appear to play out more like bar room brawls than choreographed sequences between superhuman characters. Games require three winning rounds as opposed to just two. The results can look and feel brutal, especially in a top level tournament where back and forth play draws out the grand finals to a seven game set total. Saint, the previous year’s winner, got to the grand finals from the loser’s bracket after managing to get revenge on Jae Min “Knee” Bae, another South Korean Tekken heavy-weight who had been responsible for sending Saint to the loser’s bracket in the first place. From there, Saint took the first series against JDCR in a landslide. 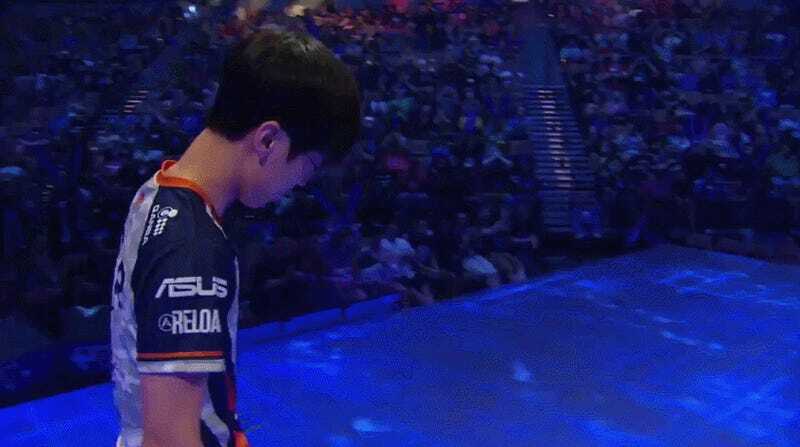 With the wind at his back, he took three games to zero off of his rival forcing the grand finals to go to a second series (since JDCR entered the grand finals from the winner’s bracket, he had the advantage of getting a second shot). Unfortunately, JDCR seemed to have steeled himself by the second best-of-five, taking the first two games, countering Saint’s grabs and slowing the previous Evo winner’s momentum. An overly risky wind-up in the first match gave JDCR a way to get on the board, and from there Saint never seemed to recover. The latter managed to grab one back in the third game, but JDCR didn’t go below half health for any of the rounds in the fourth. The newly minted Evo champion said in an interview last year that he didn’t consider himself a pro player. Tekken 7 wasn’t out at that time, and the competitive game was still languishing in the shadows compared to the likes of Street Fighter V. Earlier this year, however, both JDCR and Saint were signed by Echo Fox (the esports organization that gets its name from the former Lakers small forward). While careers in competitive gaming are inherently fickle, winning a tournament at the year’s premier fighting game tournament isn’t a bad way to stay in business. You can re-watch the grand finals here starting around 7:20:00.